Just occasionally we are asked to work on a piece of furniture that carries a bit of tenuous history to it. This sturdy desk was once at home in a school. Beyond that, is anyone’s guess. The desk certainly wasn’t much of a looker when it was acquired with the sole purpose of sprucing up with a shabby chic paint treatment. First of all, we sanded down all the wooden surfaces—pine—preparing them for paint. Typically we start with a coarse sandpaper and then finish with something a little finer. With the work surface we were asked to do something a little bit different. We stripped down all the layers of peeling varnish revealing an attractive, if pitted, pine finish. We have to say that the pine finish still bore a few hallmarks of school use. 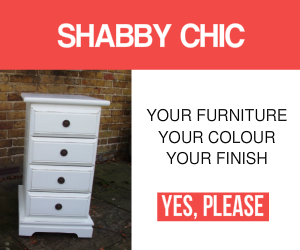 Ink can be difficult to remove from shabby chic furniture. But, we gave it a good go! 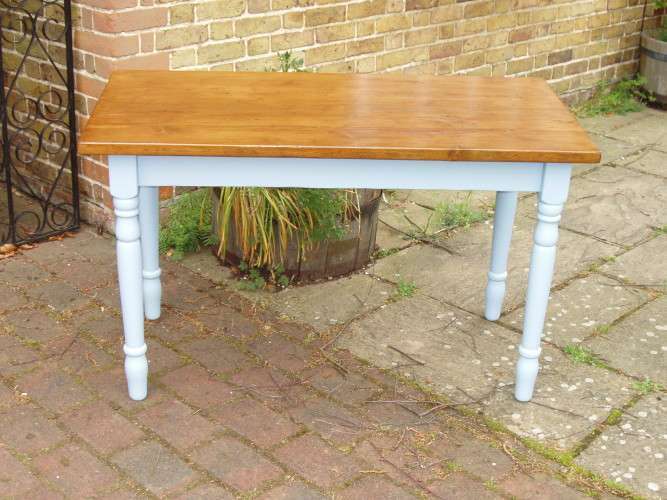 The shabby chic paint of choice for the turned desk legs and the frame was Lulworth Blue from Farrow and Ball. It’s an attractive, vibrant colour that worked well with other interior finishes. And. it’s a colour that just missed out on a place in the top ten shabby chic painting colours of 2013. With the desk surface we applied a satin polyurethane finish to the pine. That should certainly prove hard wearing for most home office uses. 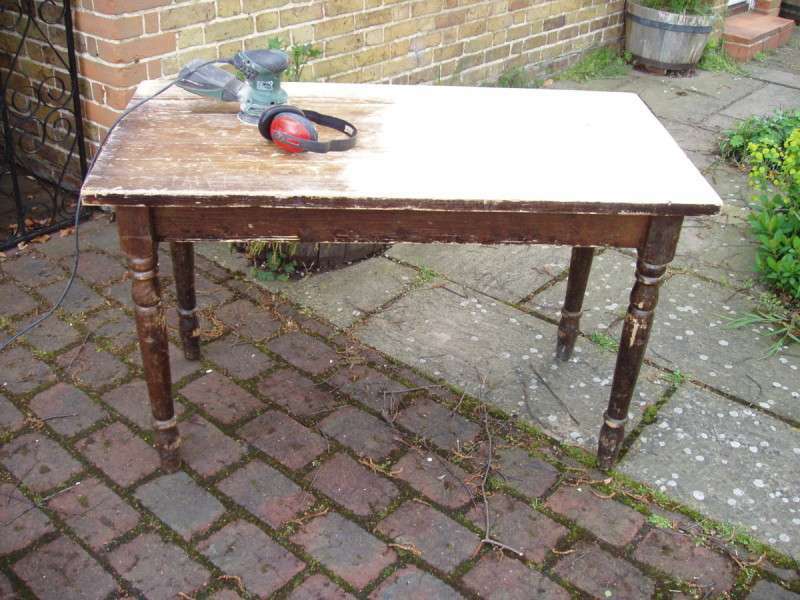 It’s certainly the case that a bit of shabby-chic inspiration saved the day for this particular old school desk. When you want to restore some of your furniture acquisitions, then please don’t hesitate to get in touch. Because we can always discuss the painting options that you have available. And we can, of course, offer a complete painting service that includes collection and delivery, once painted.